When it comes to viral internet fame, there are great ways to achieve it and some really not-so-great ways. Getting there by being caught (apparently) eyeing up a young woman, then being called out on it by your daughter, would fall into the latter category for me. Luckily everyone seems to be taking it in good humor. The original tweet was funny enough. 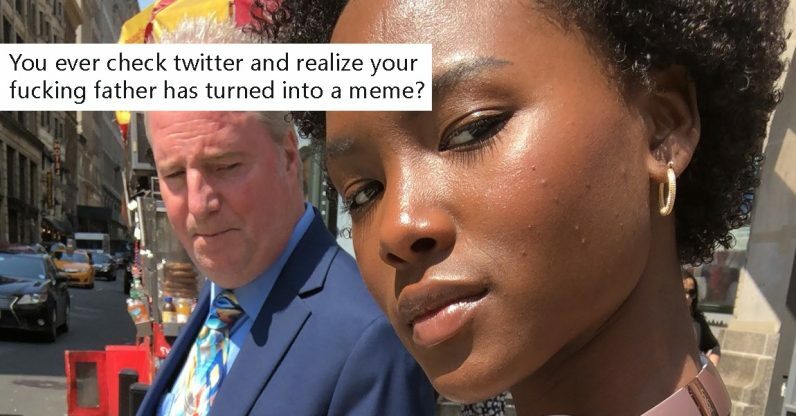 Model Dominique Robinson snapped a selfie on a sidewalk in New York City, not realizing until after the fact that the man next to her seemed to be glancing in her direction. Still, speaking as a daughter, I say better Alex Leavey’s father than mine.